On 9th January British Academy of Film and Television Arts (BAFTA) disclosed about the nominations for their 72nd British Academy Film Awards. 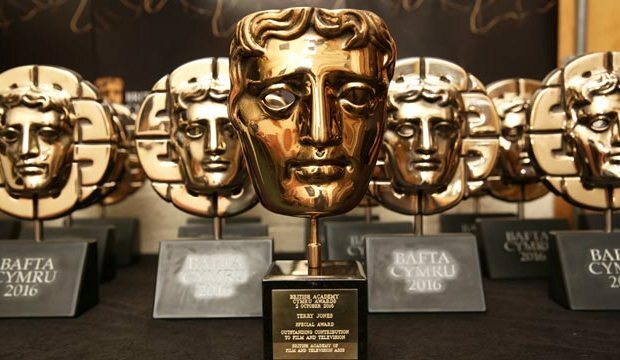 In today’s blog we will take a look on the nomination announced for 2019 BAFTA Awards in the Animation & VFX category. The 72nd British Academy Film Awards will be held on 10 February 2019 at the Royal Albert Hall in London. BAFTA ceremony will be hosted by Joanna Lumley and will telecast only on BBC One and BBC One HD. The Nominees in the Animated Film Category are Incredible 2, Isle of Dogs and Spider-Man: Into the Spider-Verse. Nomination for 2019 BAFTA awards in the British Short Animation Category is also announced which is exclusively for the UK’s local artistic creations. Three nominees in hand-drawn animated shorts included I’m OK by Elizabeth Hobb, Abigail Addison and Jelena Popović, Marfa by Greg McLeod and Myles McLeod, Roughhouse by Jonathan Hodgson and Richard Van Den Boom. 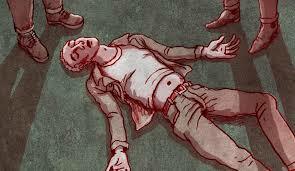 I’M OK is a 6 minute without dialogue UK’s animated film. 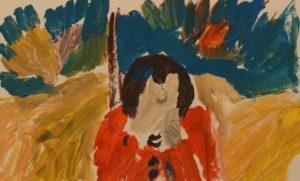 It explores the wounds of heartbreak and trauma. 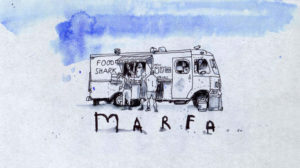 Marfa is 8 minutes UK’Ss short animated film about a place out of time. A deserted place where strange lights dance in the night sky, a countryside of lost horses, freaks and food trucks. Roughhouse is a 15 minutes 30 seconds British short animated film about three friends on a new adventure in a strange town, but when a new member joins their loyalty breaks apart with terrifying sequences. Released in February 2018 Isle of Dogs is a stop-motion-animated science-fiction comedy drama film directed by Wes Anderson. It received nominations at the 76th Golden Globe Awards, 72nd British Academy Film Awards and 91st Academy Awards for best animated feature film and best original score. American filmmaker Wesley Wales Anderson’s films are known for their distinctive visual and narrative styles. Anderson won Silver Bear for Best Director for this film. The story line follows a young boy Koyu Rankin searching for his dog after the species is banished to an island after the outbreak of a canine flu. Produced by companies such asIndian Paintbrush, Anderson’s own production company, American Empirical Pictures in association with Studio Babelsberg. According to Anderson Isle of Dogs is strongly influenced by the films of Akira Kurosawa. It is produced at the 3 Mills Studios in East London and the animation department included number of people who worked previously on the film Fantastic Mr. Fox made by Anderson. This film received the praise for its animation, story and humour. 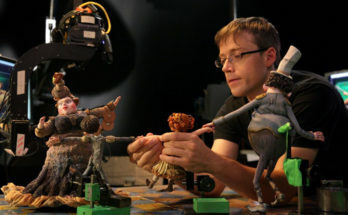 Around 20,000 faces and 1,105 animated puppets were created by 12 sculptors working six days a week for the film. 2,000 more puppets were made for background characters and detailed puppets of the main characters took an average of two to three months to create. The soundtrack of this film featured various original and selected songs from a variety of musicians mainly from Japan. The songs used in this film had origins in classic Japanese cinema such as Akira Kurosawa’s film Drunken Angel and Seven Samurai. It is the third nomination for Incredibles 2 director Brad Bird who won previously for The Incredibles(2004) and Ratatouille (2007). Brad Bird is an American animation director best known for his animated feature films. Brad developed a love for the art of animation at an early age and his mentor is Milt Kahl one of Disney’s reputed animation artist. Bird first animated feature film was The Iron Giant made in 1999. Both of Bird’s film The Incredibles(2004) and Ratatouille (2007) were placed among Pixar’s highest-grossing features and gave Bird two BAFTA awards for Best Animated Feature and Best Original Screenplay. 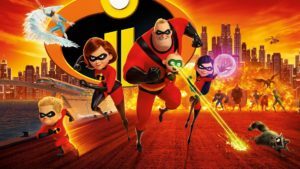 Incredibles 2 theatrically released in Disney Digital 3-D, Dolby Cinema, IMAX and IMAX 3D on June 2018. This film received praise for its animation, voice acting, humour, action sequences and musical score. This film was nominated at the 76th Golden Globe Awards. This film made $182.7 million in its opening weekend, set the record for best debut for an animated film. It has grossed over $1.2 billion worldwide, creating the fourth highest-grossing film of 2018, the second highest-grossing animated film and the 15th highest-grossing film of all-time. 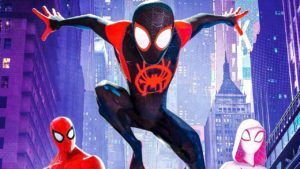 Directed by Bob Persichetti, Peter Ramsey, and Rodney Rothman; animated superhero film Spider-Man: Into the Spider-Verse is the third film in the BAFTA nomination. This film was theatrically released in United States on December 2018 had grossing over $326 million worldwide against a $90 million budget. It received praised for animation, characters, story, voice acting, humour and soundtrack. It won 76th Golden Globe Awards, 91st Academy Awards and 24th Critics’ Choice Awards as Best Animated Feature Film. According to the director Bob Persichetti, the hand-drawn animation elements created for the film gave it a unique experience. There is a combination of old-fashioned hand-drawn multi-plane camera and a modern virtual reality environment. In the category of Special Visual Effects nominees are Avengers:Infinity War,Black Panther, Fantastic Beasts: The Crimes of Grindelwald, First Man and Ready Player One. Avengers: Infinity War released in IMAX and 3D in 2018; it received praise for visual effects, action sequences, musical score and themes. Along with BAFTA nomination it also received nomination for Best Visual Effects at the 91st Academy Awards. Film Black Panther received 91st Academy Awards nomination and 76th Golden Globe nomination along with BAFTA nomination. Any good animated movie gets the praise from the critics as well as from the audience. 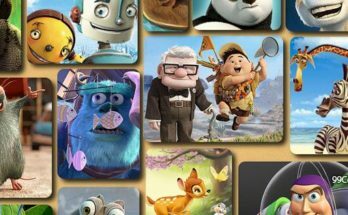 There are many animated feature films which received BAFTA awards in the past years along with Academy Awards. Receiving prestigious award is the dream of any animation film director which can be fulfilled only by hard work, hard work and hard work. If you have that talent which will fetch applaud from the people then join our Maac Centre, we will help you to reach the big platform.